The Brahmaputra is one of the major rivers of Asia, a trans-boundary river which flows through China, India, and Bangladesh. As such, it is known by various names in the region. The Brahmaputra River is one of the largest rivers in the world. 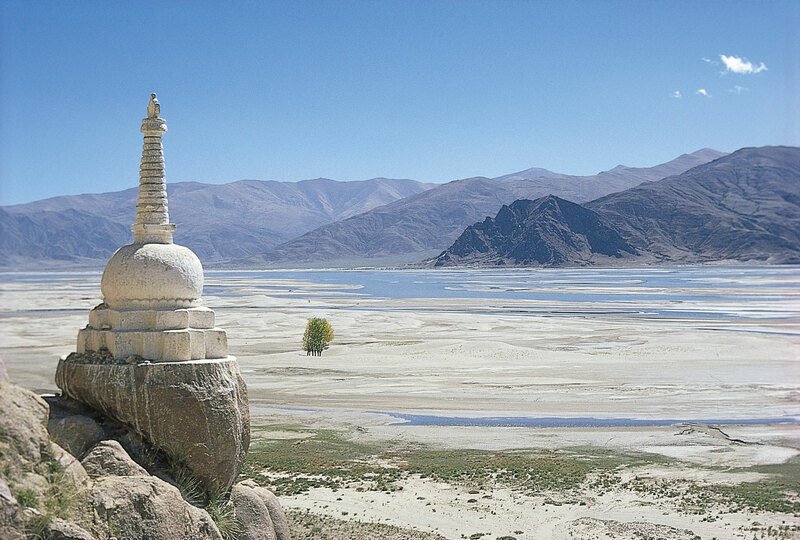 The origin of Brahmaputra River is in southwestern Tibet as the Yarlung River. It flows across southern Tibet where it is known as Dihang. Then it breaks through the Himalayas in the great gorge, approximately at 31Â°30Â´N and 82Â°0Â´E. Its basin covers the areas of Tibet, China, India, and Bangladesh. It has a long course through the dry and flat region of southern Tibet before it breaks through the Himalayas. The Brahmaputra is one of the largest rivers of Asia. The total length of the river is about 2900 km. The river takes birth at the Mansarover of the Himalayas, flows through Tibet, China, Burma, India and joins with River Ganges in Bangladesh. In Tibet, this river is known as Yarlung Zangbo River. 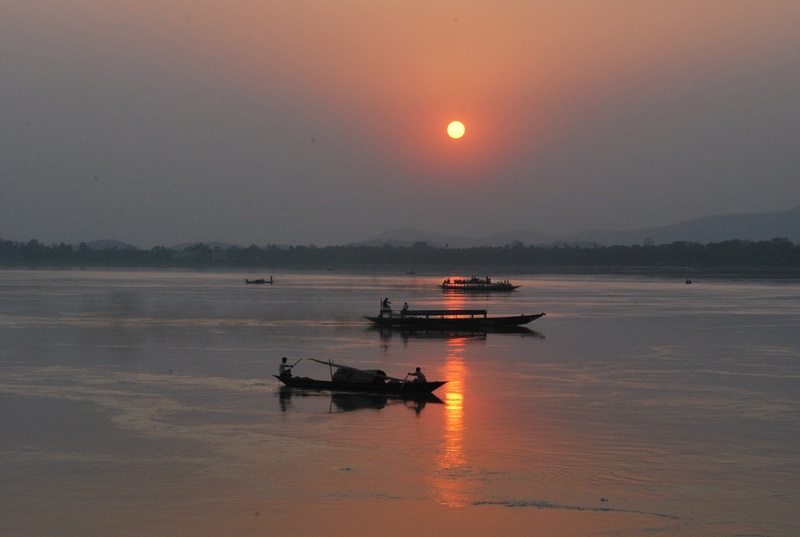 The Sanskrit name for the Brahmaputra is Lauhitya. The word the Brahmaputra means son of Brahma and according to the Hindu mythology, it is a holy river. The biggest and the smallest river islands in the world are Majuli and Ugandan a are formed along this river. The river is navigable for large crafts. The Brahmaputra enters India in the far eastern state of Arunachal Pradesh after traveling hundreds of miles to Tibet as the Tsangpo from its birthplace near the holy lake of Manasarovar. It is one of the world’s largest, on the similar scale with the Indus, Mississippi, and the Nile. The Brahmaputra is also called Tsangpo-Brahmaputra. It is a trans-boundary river. From its origin in southwestern Tibet as the Yarlung Tsangpo River, it flows across southern Tibet to penetrate through the Himalayas in great gorges and into Arunachal Pradesh where it is known as Dihang. The Brahmaputra River flows southwest through the Assam Valley as Brahmaputra and south through Bangladesh as the Jamuna. There it converges with the Ganga to form a vast delta. About 1,800 mi or 2,900 km long, this river is an essential source for irrigation and transportation. Its upper course was unknown for a long time, and its identity with the Yarlung Tsangpo was only recognized by exploration in 1884-86. In Bangladesh, the river merges with the Ganga and divides into two the Hugli and Padma River. When it merges with the Ganges, it forms the world’s largest delta at the Sunderbans. The Sunderbans is best known for Tigers and mangroves. 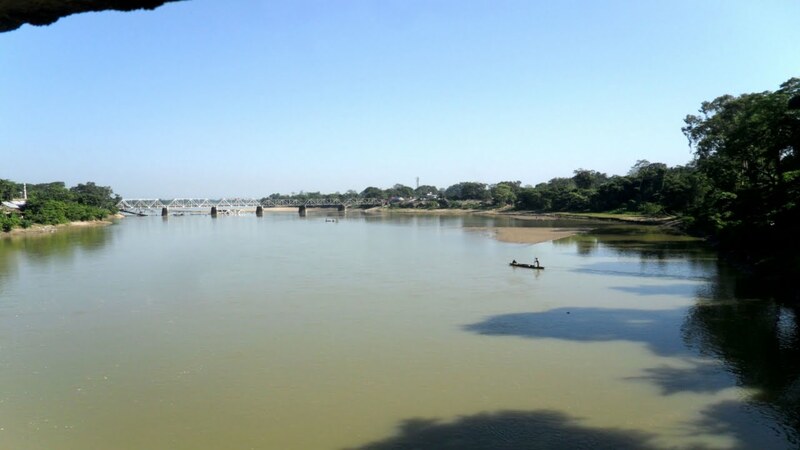 While most Indian and Bangladeshi rivers have female names, this river has a typical and rare male name, as the term “Brahmaputra” means “son of Brahma” in Sanskrit, put means “son”. The Brahmaputra is navigable along most of the river length. 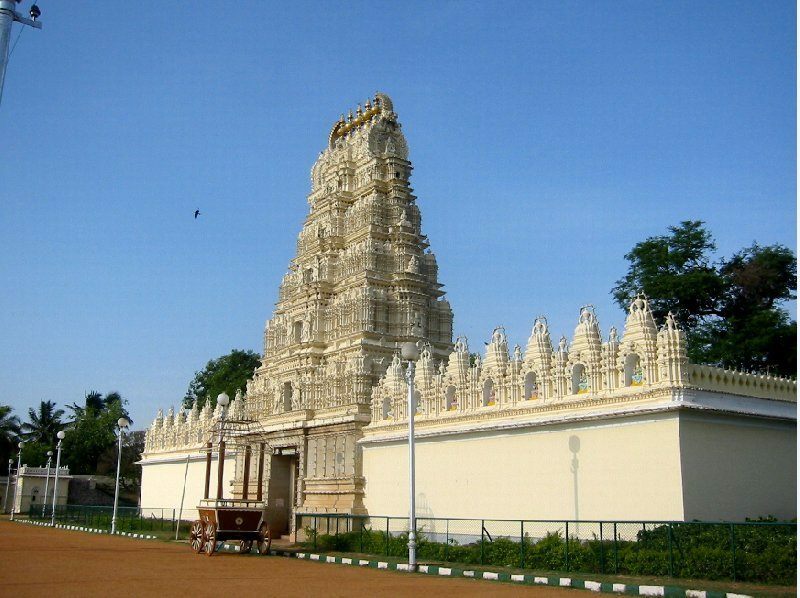 The lower reaches are sacred to Hindus. The river is prone to catastrophic flooding in spring when the Himalayan snows melt. It is also one of the few rivers in the world that exhibit a tidal influence. The Brahmaputra River Basin consists of the Ganges and Brahmaputra, which originates in Tibet and the Barak River starting in India. These rivers all converge in Bangladesh as the Meghna River and flow out to the Bay of Bengal. The river basin is a wide land area made up of parts of India, Tibet, Bhutan, Nepal, and Bangladesh. The Brahmaputra River flows for 1,800 miles through Tibet, India, and Bangladesh. Starting in the Himalayas in Tibet as the Tsangpo River, the river flows eastward for 704 miles. At the Shuomatan Point, the river bends and enters India crossing the Assam Valley. It then flows south through Bangladesh exiting at the Ganges-Brahmaputra Delta into the Bay of Bengal. The path of the Brahmaputra has sculpted the natural and human landscape of two north-eastern Indian states, Arunachal Pradesh and Assam. The river nourishes the young and fragile ecology of the eastern Himalayas and the rich diversity of people and languages in this frontier space. During the year, four distinct seasons occur in the Indian portion of the basin. These are (i) winter, (ii) summer, (iii) monsoon and (iv) autumn or post-monsoon. The winter season begins in December and continues to the end of February. Light north-easterly winds blow down the Brahmaputra valley in Assam and light northerly to northwesterly winds in West Bengal. The weather is occasionally changed by the passage of western disturbances across the region, light rainfall occurs in January and February along the hills, increasing towards North-east Assam. Thunderstorms are rare in December and January and occur only on one or two days in February, these may occasionally be accompanied by a dust or hail storm. From March onwards, the hot weather starts and continues up to the last week of May. In this season the basin is under the sway of three air streams a deep north-westerly current from Uttar Pradesh and Bihar, a shallow southerly stream from the head of the Bay of Bengal over the Orissa and Bengal coasts, and a shallower current of Northeasterly to easterly winds from the Brahmaputra valley blowing over the plains of North Bengal and Bihar. With the interactions between these air streams, this is a season when marked instability develops in the atmosphere and severe thunderstorms occur extensively, sometimes preceded by dust-raising squalls. Rainfall increases both in amount and frequency as the season advances, being generally associated with afternoon or evening thunderstorms and squalls. They are generally more concentrated in Upper Assam. Hailstorms occur on one to three days in the season, especially in the Assam hills. The monsoon sets in by the last week of May or in early June, being usually ushered in by a depression in the Bay of Bengal. Subsequently, a series of such depressions, forming at the head of the Bay and moving inland, give spells of continuous and moderate to heavy rain generally over the region. The monsoon withdraws in the last week of September or the first week of October. July and August are the rainiest months. Rain is most frequent and heavy on the southern slopes of the khasi hills in the north-east corner of Assam and in Northern Bengal. Much of the rainfall in June and September is associated with thunder-clouds, while the thundery weather is less frequent in July and August. 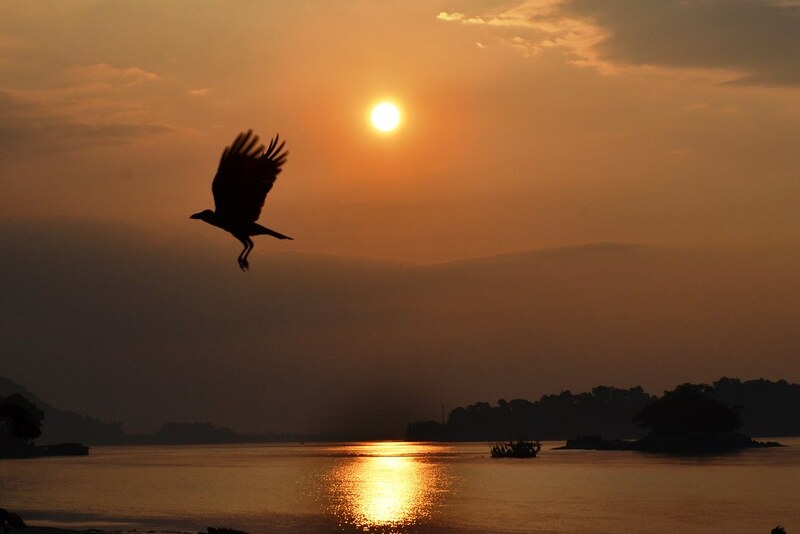 After the withdrawal of the monsoon winds, light unsteady winds are experienced by the middle of October. Occasionally, in October, cyclonic storms from the Bay cross the Bengal coast bringing clouds and rain with them. Almost all the rain in this season is associated with thunder. During the post-winter months, the north-east monsoon finds its way into the Brahmaputra valley through a saddle in the high Himalayas, at their eastern end. The Assam range of hills gradually rises in height eastward from 300 m in the Garo hills to about 3,000 m in the Naga hills. The low clouds brought in by the southwest monsoon get interrupted on the southern face of the Khasi and Jaintia hills by a 1,830 m high ridge and cause extremely heavy rainfall along the Cherrapunji-Mawphlang-Pynursla belt. This is generally of the order of 11,000 mm per annum, the highest in the world. The clouds that pass over this 1,830 m ridge along this belt, precipitate in the Brahmaputra valley, their intensity increasing towards the foothills of the Himalayas. The rainfall in the Brahmaputra valley ranges from 2,125 mm in Kamrup to about 4,142 mm in Tirap Division of the Arunachal. The Lanka area in Nagaon district on the north of the Khasi and Jaintia hills lies in the rain shadow region and in consequence, the annual rainfall there is only about 1,100 mm. The rainfall in the Tista valley varies from 1,635 mm in West Dinajpur district to 3,945 mm in Jalpaiguri district. During the monsoon months of May to October, about 85% of the precipitation in the basin occurs. About 12% of the annual rainfall occurs in March and April. During the winter season in January, the mean temperature over the catchment varies from 15.0°C to 17.5°C. The higher elevations in the Himalayan ranges experience lower temperatures. During the summer season in April, the mean temperature in the lower part of the catchment varies from 25.0°C to 27.5°C. The temperatures are below 25°C in the upper parts of the basin notably in Arunachal. In the rainy season, in the month of July, the mean temperature varies from 27.5°C to 30.0°C. Towards the end of the monsoon season, in the month of October, the mean temperature over the basin varies from 25.0°C to 27.5°C. The Arunachal region experiences temperatures lower than 25.0°C. The Brahmaputra originates in the Angsi Glacier in the Himalayas, and flows through Tibet India, and Bangladesh, before emptying itself into the Bay of Bengal at the Ganges Delta. It meets River Meghna and River Padma in Bangladesh, where the three rivers come together to form the largest delta in the world – the Ganges Delta or Ganges-Brahmaputra Delta. The Brahmaputra is known by different names in different regions. It is known as the Yarlung Tsangpo River in Tibet, the Brahmaputra, Lohit, Siang, and Dihang in India, and the Jamuna in Bangladesh. It flows over a course of 1,800 mi; 1,010 mi in Tibet, 570 mi in India, and 210 mi in Bangladesh. It has an average depth of 125 ft, maximum depth of 380 ft, and an average width of 6 mi in the plains. The Brahmaputra is considered the fifth strongest river in the world in terms of flow rate. It has an average discharge of 680,000 cu ft/s. A river is said to exhibit a tidal bore when incoming tides form waves that travel up the river against the current. These waves are known as tidal waves. The Brahmaputra is one of the few examples of rivers with a tidal bore. The largest riverine island in the Brahmaputra is the Majuli Island, with a total area of 163 sq mi, as per 2001 data. 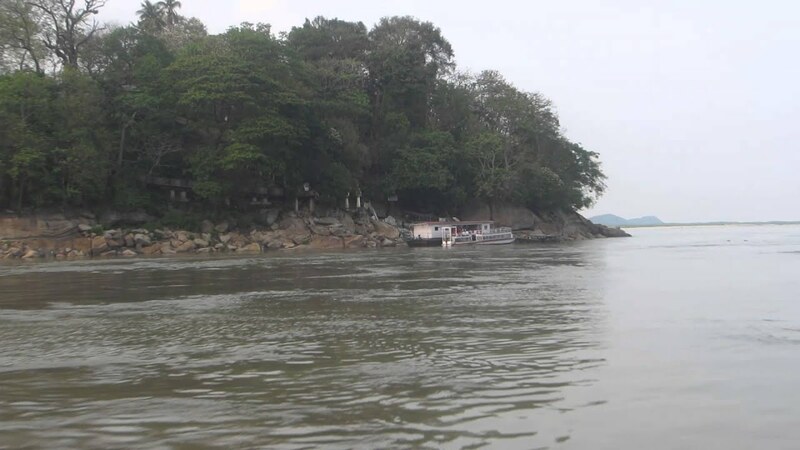 The river also has to its credit the world’s smallest inhabited riverine island, the Umananda Island―also known as Peacock Island. The Saraighat Bridge near Guwahati, Assam, which was opened in April 1962, was the first bridge to be built on the Brahmaputra. On April 2, 1762, the region experienced a 7.5 magnitude earthquake which switched the main channel of the Brahmaputra southward. More recently, on August 15, 1950, the region witnessed another earthquake (the 8.6 magnitude Assam-Tibet earthquake), which altered the geology of the Brahmaputra River Basin and raised the water level by 8 to 10 m in some places. The water is shared by China, India, and Bangladesh. In India, the river accounts for nearly 30 percent of the total water resources, and about 40 percent of the total hydropower potential. In 2014, China operationalized the Zangmu Dam in Tibet as a part of the Zangmu Hydropower Project. It is the first major dam on the Brahmaputra. The river is navigable for most of its length. Besides the 800 mi course upstream from its mouth, it is also navigable in some areas of Tibet, where boat cruises are quite popular.